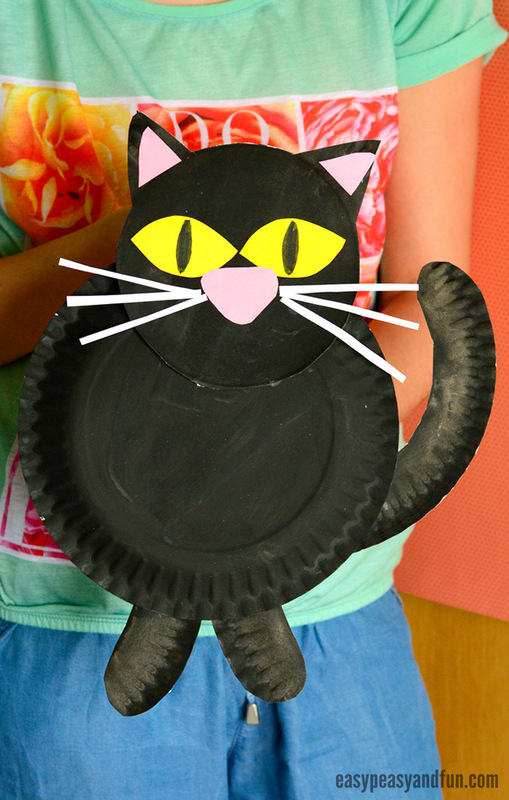 We have another wonderful paper plate project to share with you – we are making a black cat paper plate craft (perfect for younger kids). 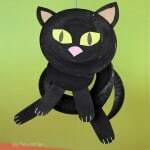 Last year we shared a funky looking swirly cat – but that one required a bit more skill, so this year we are making an easier version for preschool or kindergarten. Cats are the best! I grew up with one (or a few) and I can guarantee kids develop a special kind of bond with cats (and cats with kids). My cat, although saying my cat kinds of feels wrong as most of the time it felt like the ownership was reversed, was one of my best friends, my best listener and play friend. 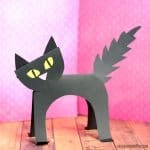 He is one of the reasons I absolutely love to create cat crafts of all kinds. 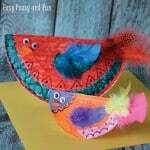 As we love frugal crafts as well as easy crafts, crafting with paper plates is often on the table. 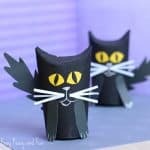 This fun cat paper plate craft is fun to make all year round, but doubles up it’s fun factor just around Halloween (you could even add the witches hat on it). White for the wishers is optional. 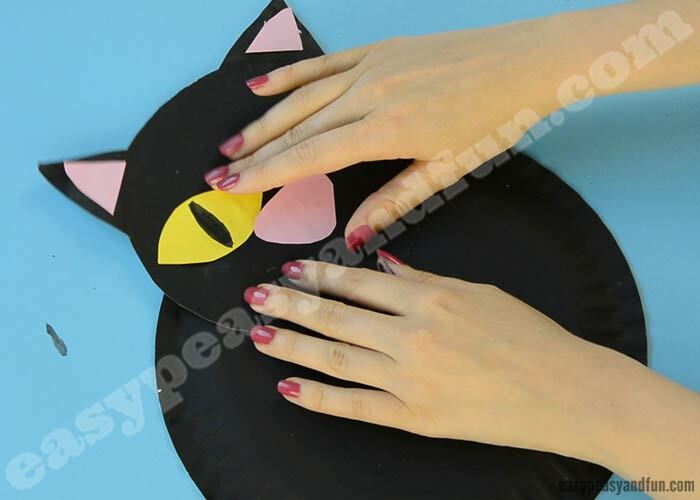 Paint the paper plates black. 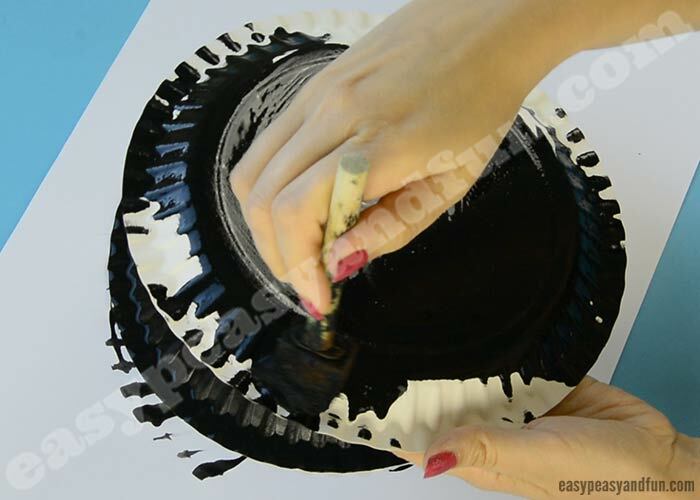 We think that sponge brushes are the best as you can paint large surfaces relatively quickly. Let the paint dry before you continue. 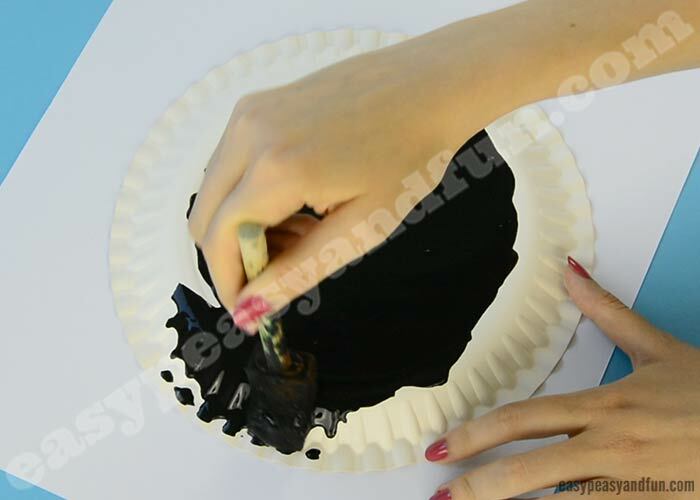 Once the paint has dried, take one of the paper plates and start cutting the edge off. 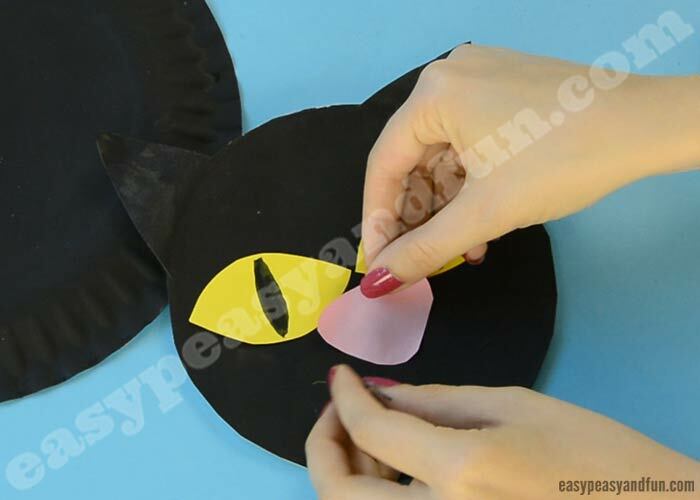 You can cut a circle or a cat head with ears on it depending on the scissor skill level of young craters (ears can be cut and glued separately). 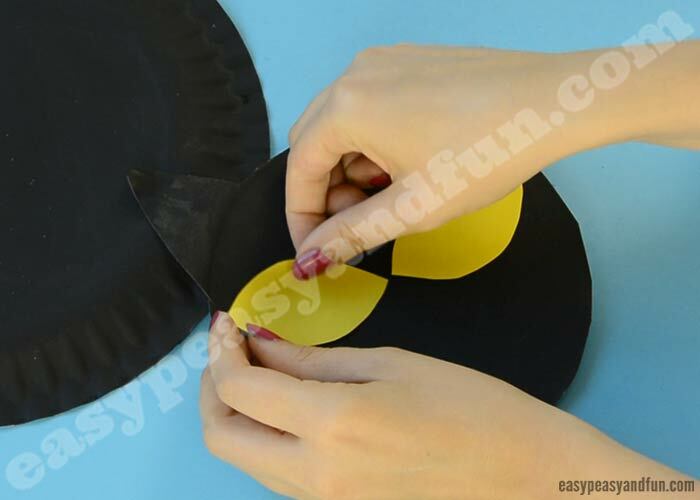 Cut two big eyes out of yellow paper and glue them on the head. Draw eye details with black marker. 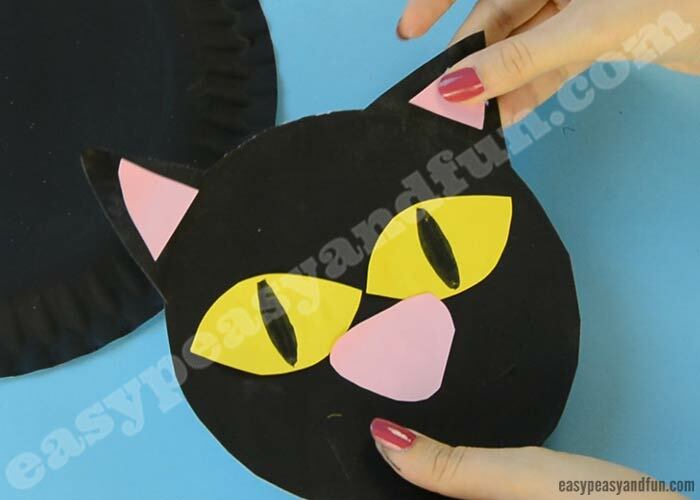 Also cut a pink nose and ear details and glue them on their places. 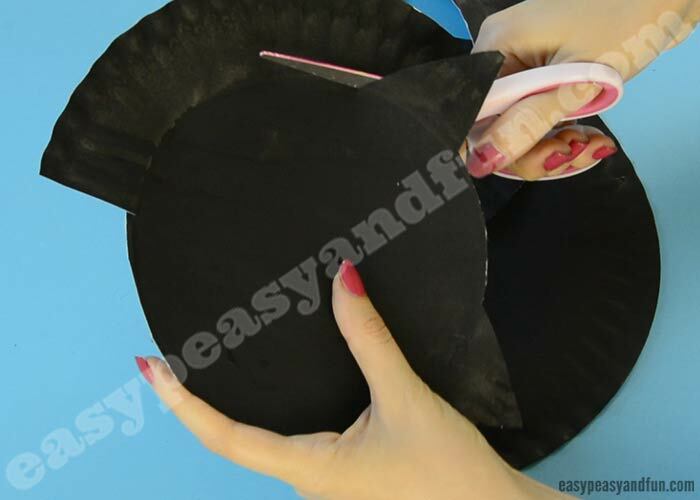 Apply a generous amount of glue on the top of the other paper plate. 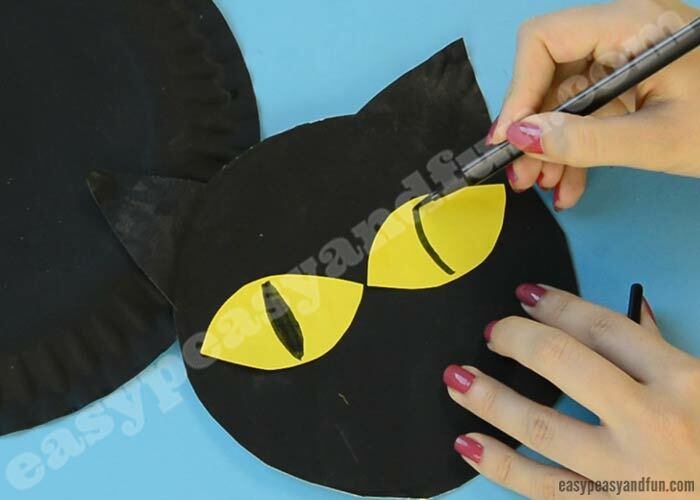 Glue on the cat head. 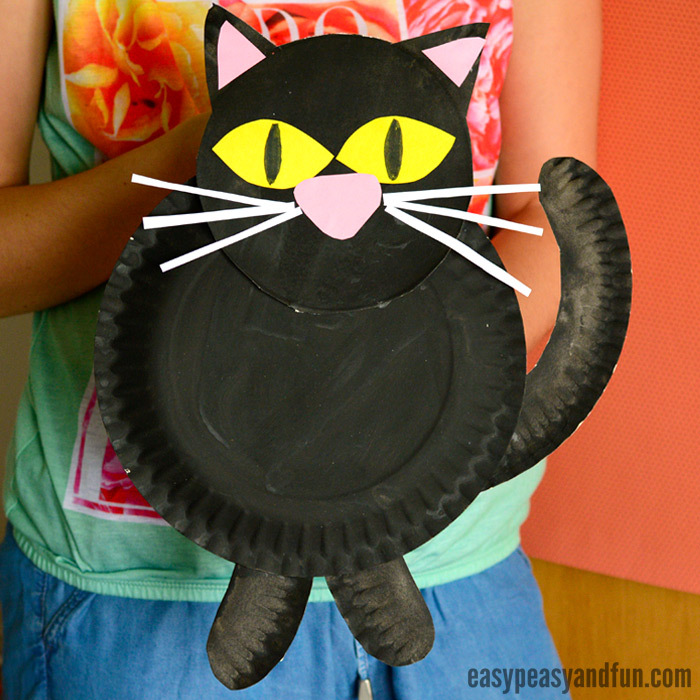 Make the cat tail out of “leftovers” from the edge of the first paper plate. 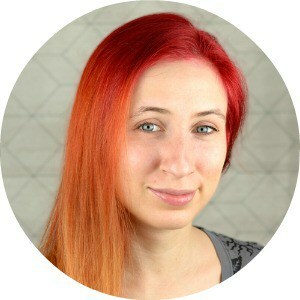 Glue it on the cat’s body. Do the same for the cat legs. 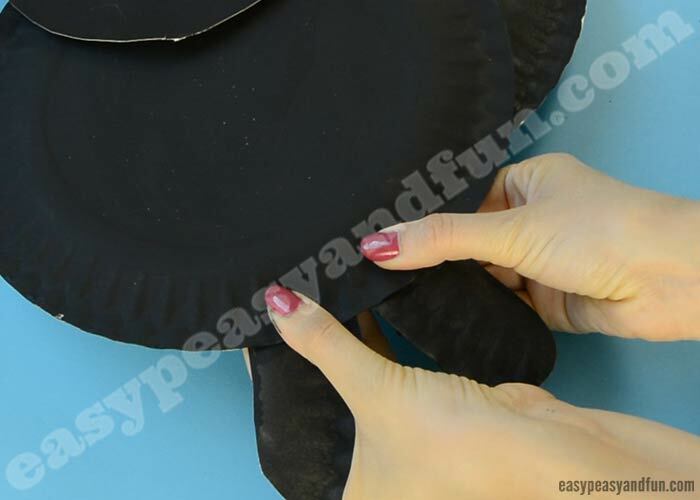 And if you haven’t before cut the ears out of leftover edge and glue them on the head too. 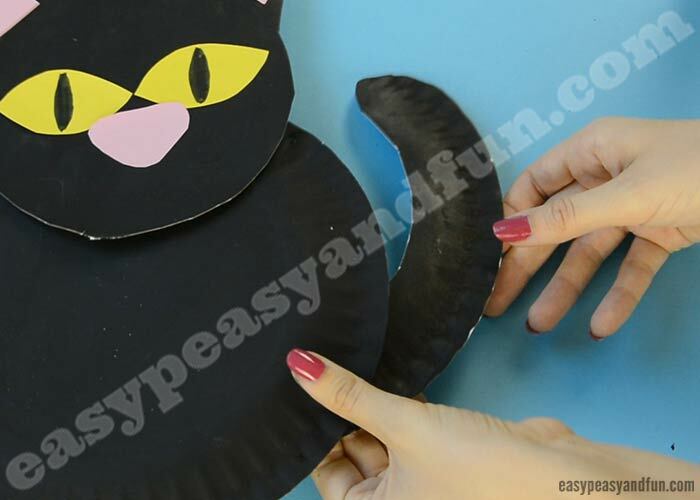 Older kids can also cut thin strips of white paper and glue it on the cat’s heat to make the wishers. 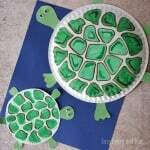 They can also be painted with white paint. 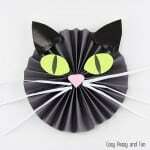 This black cat paper plate craft is wonderful for hanging on the wall so it will make a great classroom decoration.